Over the past few weeks, construction crews have worked the dirt, routed plumbing and electrical, and poured the concrete footings at George Nettels Elementary, Meadowlark Elementary, and Westside Elementary. This week, crews completed putting in place the walls that will make the classrooms/storm shelters at those buildings and began dirt work at Pittsburg Community Middle School. It is important to note that due to the construction at PCMS, Elm Street between 13th & 14th Streets is closed. This includes the parking lot that was located to the east. 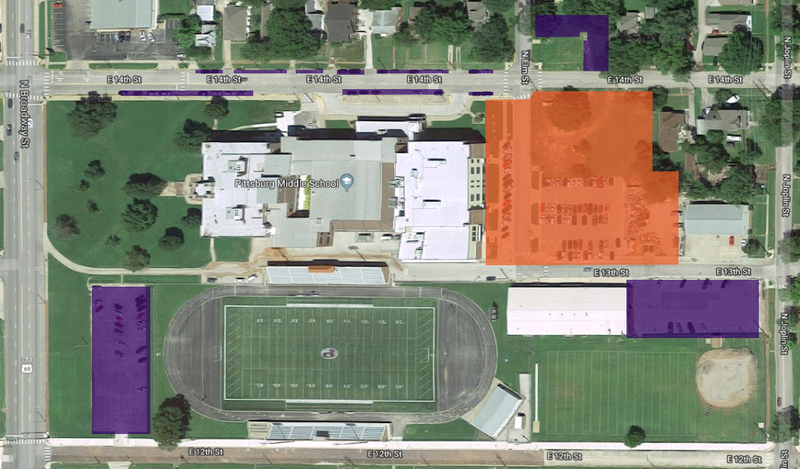 In the map below, you'll see the construction zone highlighted in orange and some locations for designated parking highlighted in purple. 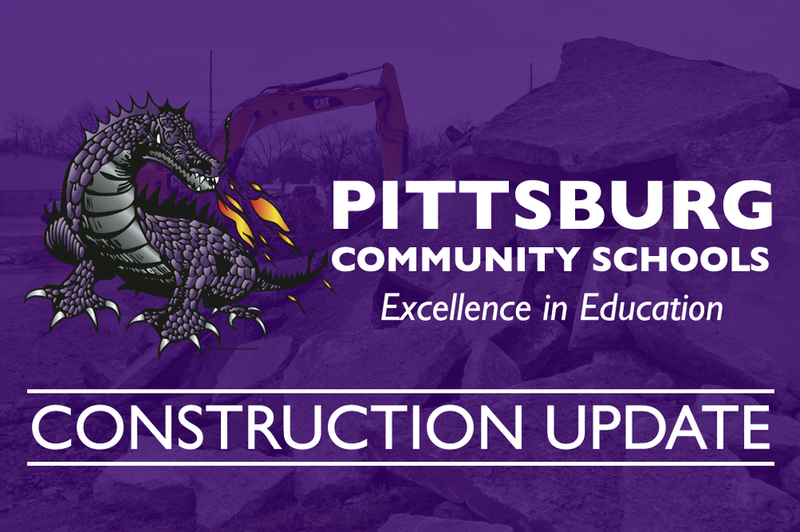 A groundbreaking ceremony for PHS will be held on Tuesday, April 3rd at 1:30pm with construction work beginning on April 9th. Due to the school schedule and construction schedule being a little later, Lakeside Elementary will hold its groundbreaking ceremony on Monday, May 14th, at 10:30am before school lets out for the summer. Construction will start at Lakeside on June 4th. You can find and follow along with the progress of the projects by going over to our Facebook page and looking at the photo albums which are separated by project.